Are you looking for a quick-fix solution to a sudden acne breakout? Using a spot treatment for fixing an acne breakout is a common solution to get rid of stubborn acne before any important occasion. These spot treatments can provide quick results as they have a concentrated formula. Using other random products on acne can worsen the condition so it is advisable to choose skincare products very carefully. There are many spot treatments available in the market but only a few are effective and provide good results. We have compiled a list of ten best acne spot treatments which are known for their instant results. Claiming to make pimples disappear in just 2 days, this spot treatment from Protege has a completely natural formula and comes in a convenient tube packaging. It works on all types of acne and blemishes and is very effective on small breakouts as well. The formula is free of sulfates and parabens so it is suitable for all skin types. The main ingredients include lactobacillus extract, aloe vera, green tea extract, and oats extracts which help to soothe the skin and heal it faster. It helps to heal the skin while killing the acne-causing bacteria. Regular use helps to heal the acne without leaving any scar on the skin. The product has a strong fragrance so it is better to use it lightly. The quantity of the cream is good as one tube lasts for 4-5 months if used as a spot treatment. The price is moderate as compared to other acne spot treatments available in the market. Uses aloe vera, green tea extracts, and oats to soothe the skin while reducing the inflammation. The formula is free of parabens and sulfates which are known to cause more acne breakouts. Minimizes acne in just two days without leaving any scar on the skin. The tube packaging is handy and travel-friendly also. The formula can be a bit drying if used on other areas of the skin. The quick results of this formula make it very handy for treating emergency breakouts before any special occasion. It uses natural extracts to minimize redness and kill acne-causing bacteria. If you are looking for a sheet of affordable acne patches, this product from COSRX contains 24 patches which can be applied directly to the acne to minimize the inflammation. The patches not only act quickly on the breakouts but also protect the acne from outside dirt and pollutants which can aggravate the condition. It is advisable to apply the patch on the pimple when it is ripe and filled with pus as the formula extracts all the pus and provides relief to the skin. Be careful while applying the patches as pressing them too hard can further aggravate the skin. The patches are available in three sizes so you can choose according to the size of the acne and can also use multiple sizes together. Another great advantage of this patch is that it is very thin so you can also wear makeup over the patch easily. You can remove the patches after a few hours. The price of the patch sheet is quite affordable. The patches are quite thin and can be worn under makeup as well. They reduce inflammation in just a few hours and protect the skin from outside dirt and pollution as well. The price of the patch sheet is quite affordable. Three size options allow you to choose the patches according to the size of the pimple. The patches are not very effective on cystic acne and stubborn acne breakouts. The formula of the patch can cause irritation if used for more duration than advisable. These acne patches are quite useful if you need to hide your breakouts while healing them as they work well under makeup too. The formula used in making the patches is gentle and works instantly on reducing the pimples. One of the most popular acne spot treatments available in the market, this drying lotion from Mario Badescu uses calamine and salicylic acid to keep pimples under control. It comes in a glass bottle with a white plastic cap. You need to use an applicator to apply the product on the acne. The formula also contains zinc oxide and sulfur which extract impurities from the skin and reduce inflammation. Calamine soothes the skin and provides a cooling effect while the salicylic acid prevents further breakouts. The lotion is good for all skin types but should be used carefully on dry skin as it can dry the skin further. It has a faint calamine fragrance which does not irritate the skin at all. The formula takes a little more time than other spot treatments but provides long-lasting results. The quantity is very good as one bottle lasts for up to a year as you need a very little amount of product for each use. The price is high as compared to other spot treatments. It uses calamine and salicylic acid to soothe the skin while reducing the acne-causing bacteria. Sulfur helps to purify the skin and keeps bacterial infections under control. The quantity of the lotion is great and one bottle lasts for a long time. The formula has a soothing fragrance and provides a cooling sensation to the skin. The formula can be a bit drying and is not suitable for dry skin. The price of the product is higher than other brands. This drying lotion is known for its soothing and cooling calamine-based formula and helps to control acne breakouts quickly and effectively. The quantity is great and the formula does not cause any irritation. Formulated with 10% Micro-Benzoyl Peroxide, this acne spot treatment uses a strong formula to remove the acne completely in just a few uses. Other ingredients of the formula include chamomile, sea whip, and ginger which target the bacteria and clean the pores gently. The product comes in a convenient tube packaging and is available in two size options. It is suitable for all skin types and needs to be used twice daily for better results. The formula does not dry out the skin and has a very mild scent. It is a bit strong for sensitive skin so it is better to do a patch test before using it on the face. You are required to use it twice a day to get good results. Regular use reduces swelling and inflammation and helps to control cystic acne also. The quantity is good and the price of the product is quite affordable as compared to other acne spot treatments. The convenient tube packaging is easy to use and is travel-friendly. The formula uses 10% Micro-Benzoyl Peroxide to treat the pimples quickly. Chamomile soothes the skin and controls redness and itching. Using more product than required can leave the skin dry and irritated. The formula is a bit strong for very sensitive skin so it should be used only after a patch test. This cream can be very effective on sudden pimple breakouts as it gives quick results with its maximum strength formula. The usage of chamomile and ginger make it a useful remedy for acne marks as well. Burt’s Bees is known for its natural formulas and this spot treatment is a part of the natural acne solutions range from the brand. It is formulated for treating acne, blemishes and pimples and comes in a compact glass bottle. The main ingredients used in the formula include tea tree oil, salicylic acid, calendula extracts, and parsley extracts. It is available in six variants and is clinically proven to reduce the appearance of pimples and blemishes within just 48 hours of use. It can be used or all skin types and is most effective on oily skin types. Regular use helps to prevent further breakouts and fades away existing blemishes also. The quantity is good as one bottle lasts for quite some time as you only need a few drops. The product does leave your skin feeling a little sticky but you can wipe it with a clean cloth after a while. The price of the product is moderate but the natural formula makes it worth the price. The formula of the product is quite natural and does not contain any harmful chemicals. It shows quick results and works on acne, pimples, and blemishes. Calendula and parsley extracts lighten the blemishes and prevent further breakouts. It is suitable for all skin types and does not have any major side-effects. The formula is a bit sticky so it can make the skin feel uncomfortable for a short period of time. The glass bottle is not very travel-friendly and can break easily. The natural formula of this spot treatment treats acne breakouts and pimples without using any artificial chemicals which can harm the skin in the long run. It also contains soothing extracts which repair and nourish the skin. One of the most expensive acne spot treatments available in the market, this product from Murad has a clear gel formula and uses salicylic acid to keep acne under control. The gel is invisible in color so it can be worn under makeup also. The formula contains 2% salicylic acid which acts swiftly on the breakouts and dries them. It can cause a little burning sensation when applied but the sensation fades after a few minutes. It is advisable to do a patch test before trying the product on the face. The gel absorbs quickly into the skin and reduces inflammation and redness from the first use itself. The tube packaging is handy and the applicator is attached to the tube itself. The consistency of the product is quite lightweight so it does not feel heavy on the skin. The quantity is a little less than what you can get in other products and the price of the product is high. The clear gel consistency makes it easier to apply the product under makeup. The concentration of salicylic acid in the formula is higher than other spot treatments so it acts quickly on the pimples. The tube with an applicator makes it easy to use and apply the product. It reduces inflammation and redness in just a few uses. The strong formula can cause peeling and itching if used on sensitive skin. This product from Murad is a favorite of many people as it uses a strong formula to reduce the breakouts from the first use itself. The gel consistency feels light on the skin and does not cause any dryness. Made up of 93% natural ingredients, this natural spot treatment is a handy product to get rid of your pimples and blemishes on the go. It contains wintergreen which is a powerful natural acne-fighting ingredient and is similar to salicylic acid. The formula is non-comedogenic so it does not clog the pores. It has a mild fragrance which is neither very pleasing nor irritating. Another advantage of this product is that it does not contain any harsh chemicals which can aggravate the skin further. The stick design is easy to use and quite handy in covering pimples if you are in a rush. Regular use helps to keep acne under control and fades blemishes also. The formula does not cause any stinging or burning sensation on the skin and takes a little more time than other products to show visible results. The price of the product is high as compared to other products but the natural formula makes it worth the high price. Contains 93% natural ingredients including wintergreen which kills acne-causing bacteria. Is free of harsh chemicals and fillers which can cause further breakouts. The formula is gentle on the skin and does not cause any itching or burning. Also targets blemishes and marks on the skin to give you a healthy skin. It takes more time to show results as compared to other products. It is a good product for people who prefer to use natural alternatives to chemical-based acne spot treatments. The wintergreen extract prevents further breakouts and is very gentle on the skin. Available in two variants, the Alba Botanica Fast Fix contains 6% sulfur extracts which instantly begin to heal and reduce the inflamed acne. It also contains willow bark extract and liquorice root which help to speed up the repairing process. Willow bark extract also helps to fade the dark spots and marks left by old breakouts. The formula is tinted so it also provides a slight coverage to the skin and makes the affected area look normal. The fragrance of the cream is a bit strong as it contains sulfur so it can irritate sensitive skin. Using the product regularly helps you to treat acne significantly with long-lasting results. The handy and compact tube packaging is very easy to use and carry. The fact that the formula is free of parabens, sulfates, and synthetic fragrances adds to its advantages. The price is moderate and the quantity is good for the price. The tinted formula is lightweight on the skin and provides a hint of coverage. The handy and compact tube packaging with the applicator is very easy to use. Sulfur helps to draw out the impurities from the skin and protects it from further breakouts. The formula is free of harmful chemicals. The smell of the cream is a bit strong according to some users. The concentration of sulfur in the formula is high and it can cause other skin concerns. This tinted acne treatment is good for treating minor acne breakouts and blemishes as it treats them naturally without any harsh chemicals and makes the skin look healthy and flawless when used regularly. If you are looking for a product which works on blemishes as well as pimples and eliminates them overnight, this spot corrector from Dr. Lin is a good option to consider. It contains 5% benzoyl peroxide which clears up the existing acne and works in controlling future breakouts as well. The formula is suitable for all skin types and does not cause any irritation. The tube packaging is easy to use and allows you to apply the product directly. The product itself is soothing and gentle on the skin and reduces redness in just a few uses. You can also use this spot corrector on blemishes as it fades them significantly if you apply it regularly. The price is higher than other spot treatments available in the market. Works on all types of acne, pimples, and blemishes and reduces them instantly. Comes in a convenient tube packaging and the product can be applied directly to the affected area. 5% benzoyl peroxide dries up the acne and prevents it from recurring. It does not cause any burning or irritation even after regular use. It takes some time to show visible results in case of cystic acne. This spot treatment cream can help you get a clear skin as it reduces acne breakouts and fades away blemishes quickly and provides long-lasting results. The formula is gentle and does not cause any skin irritation. 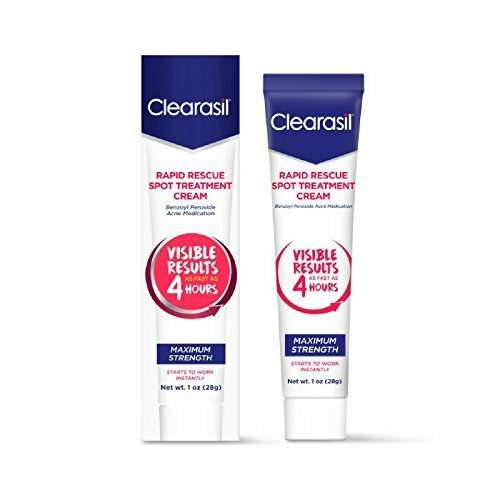 Clearasil is one brand which is known for its acne-treating products and this cream from the brand works wonders in getting rid of stubborn acne breakouts. It is available in two variants and claims to provide visible results in just four hours. The formula is dermatologically tested and is designed to penetrate quickly into the skin to treat acne. With 10% benzoyl peroxide, the formula works quickly on acne and reduces inflammation in just a few hours. It also works on acne marks and spots left by old breakouts if you use it regularly. You can also use this cream to get rid of whiteheads. The cream has a strong fragrance which can be overpowering for some users. The quantity is good for the price as one tube lasts for 5-6 months easily if used twice a day. The price is quite affordable as compared to the quantity. Reduces inflammation and redness in just a few hours and works effectively on stubborn breakouts too. It penetrates quickly into the skin and does not cause any irritation. Regular use helps to get rid of whiteheads and acne marks also. The fragrance of the product is a little strong. The formula is not suitable for sensitive skin as the concentration of benzoyl peroxide is high. It shows very quick results and begins working on the acne breakouts instantly. The cream penetrates the skin quickly and heals marks and whiteheads as well if used regularly. How to acne spot treatments really work? First of all, it is important to understand that acne spot treatments are more effective for people who suffer from occasional breakouts rather than those who suffer from cystic acne or hormonal acne. Since these spot treatments are used only on the breakouts and not on the other parts of the skin, they only reduce inflammation and redness without actually working on the basic cause behind the acne. Most acne spot treatments use these common ingredients to dry up the acne. These ingredients include benzoyl peroxide, salicylic acid, and sulfur. All these ingredients are effective in drying out the acne and killing the acne-causing bacteria. They also make the pores clean so that the bacteria cannot survive inside these pores. When you apply these spot treatments on the breakouts, the ingredients begin to extract all the impurities from the pores and reduce the inflammation and redness. With regular use, the acne begins fading away and the marks are also reduced. This is a common ingredient in all acne spot treatments. The concentration of this ingredient varies in different formulas. It is used to dry up the acne and clean the pores so that the acne-causing bacteria cannot survive inside the pores. It also absorbs excess sebum and oil from the skin which are responsible for clogging up the pores. People with a sensitive skin might feel a burning sensation when they apply the cream on the acne due to this ingredient. This ingredient is a beta-hydroxy acid which is used in many common skin care products. It gently exfoliates the skin and unclogs the pores to reduce the swelling and infection. This acid can irritate the skin if used in excess so read the label of the product carefully to know more about the concentration of the acid in the formula. This is a soothing ingredient which provides a cooling sensation to the skin and cleans the pores. It acts like a purifying agent for the skin and soothes the inflammation and reduces redness. Calamine is also known to reduce appearance of dark spots and marks. One of the most well-known ingredients for acne, this oil is used in almost all acne treatment products as it is known to kill acne-causing bacteria. There are separate skincare ranges made using this ingredient to combat acne. This oil can be a bit drying and causes a tingling sensation on the skin so it is better to use it in moderation. This is another ingredient which is used to dry the acne and reduce bacteria growth. It cleans the pores and works instantly on eliminating the acne-causing bacteria. The fragrance of this ingredient can be a little overwhelming so some brands use artificial fragrances to mask the smell. 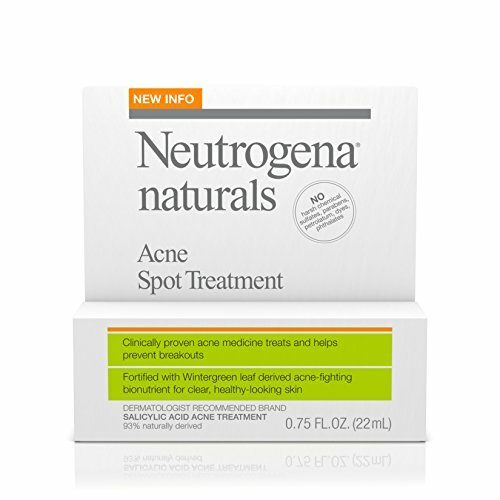 Who can use acne spot treatments? People who suffer from cystic acne breakouts and have a very sensitive skin should avoid going for spot treatments as the strong formula can do more harm than good for the skin. You can use these treatments if you are looking to get rid of visible acne breakouts before any special occasion. You should not use acne spot treatments if you have a very dry and sensitive skin as these medications can dry the skin further. Read the label of the product carefully to understand which ingredients it contains and the skin type it is suitable for. Do not use acne spot treatments directly out of the tube to apply on the acne as this can transfer the bacteria from one part of the skin to another. Consult a dermatologist before you start using a spot treatment as not all formulas are suitable for all types of acne. Understand your skin and the main cause behind the acne and try to eliminate it to get rid of acne completely. Spot treatment only work on the outside inflammation and it is better to eliminate the root cause. Do not pick the acne with bare fingers as this can not only cause more breakouts but will also delay the healing process of the existing acne. Wash your face twice a day with a salicylic acid-based cleanser to keep the bacteria growth under control and to get rid of excess dirt and oil which can clog the pores. Do not sleep with your makeup on if you have an acne-prone skin. This can restrict the skin cells from breathing properly and cause more breakouts. Eat a proper diet as this can bring a major difference to your skin quality. Include more fruits and vegetables in your diet and try to eat clean to detoxify the skin naturally. Make sure that you drink 10-12 glasses of water per day to eliminate toxins from your skin and hydrate it. Acne spot treatments can make the skin feel dry and drinking water regularly can help your skin overcome this dryness. Do not use makeup or skincare products which contain artificial fragrances and chemicals as these ingredients can further aggravate the skin and cause breakouts. So these are ten of the most effective acne spot treatments available in the market which are known for their quick and long-lasting results. These spot treatments are good for treating sudden acne breakouts before any special occasion as they take lesser time than conventional treatments and make the skin look healthier and clearer. It is always advisable to use acne spot treatments only occasionally as they have strong formulations and can harm the skin if used more frequently. Have you used a spot treatment for acne? Which is your favorite product? I love to try different way I wonder if I use toothpaste instead of acne spot treatment? You can do but it may damage to your skin in long term. I suggest you some tips to control your acne. First, you should wash your face at least twice a day with gentle formula. Second, you use moisturizer. Third, you should avoid acne factors such as your improper diet. And, you don’t squeeze pimples. I want to know what cause acne breakouts? Hormones is the inside factor from our body to stimulate more sebum. Bacteria can spread out within pores that cause breakouts. Mostly, it happens when the major hormonal change especially menstrual cycle. 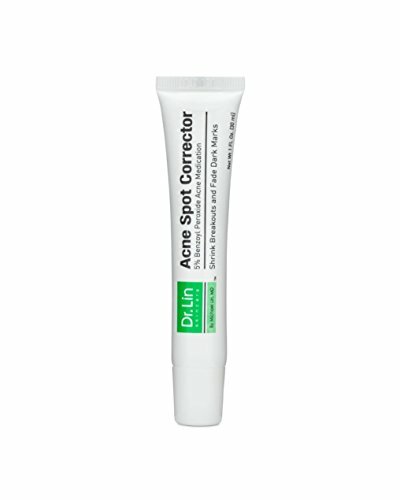 Dr. Lin Skincare Acne Spot Corrector is cool. It works very well. My spot is fading away. I’m crazy about Alba Botanica Fast Fix for a Pimple.